There was an embarrassment of athletic riches on display at today’s Weltklasse meet in Zürich’s Letzigrund Stadium, the first of two IAAF Diamond League finals for the 2014 season. Yet, was there too much of a good thing? Today’s meet showcased 182 athletes in 14 events in the two-hour television window. For the rabid athletics fans this was a bountiful meal, indeed. But for a casual spectator the numbers quickly became so great as to create a glut . At the beginning of the men’s 5000 meters broadcaster Tim Hutchings said of the 20-man field, ‘it’s too many probably’, before underscoring the class of the field as containing 10 sub-13 minute men, including the top 10 of 2014. In the world of art negative space is the space around and between the subject(s) of an image. It is an often unnoticed element in creating a pleasing design or presentation, as it allows the positive space of the composition the room it needs to breathe in order to be properly absorbed by the viewer. Negative space in music is the silence within a piece that showcases that which is heard, while in comedy, negative space is the well-timed pause that either is the joke, or tees up the punch-line. If someone as track-savvy as Tim Hutchings can wonder about the need for a 20-man field in a season-long final in the 5000m, and a 10-man traffic jam in the 800, why can’t the Diamond League organizers? In business they say to mass your assets, then focus people’s attention. Why is it that there is no stepping stone to the finals whereby only the top eight competitors in the laned events, or top 10 in the distance events, qualify for the Diamond League final? 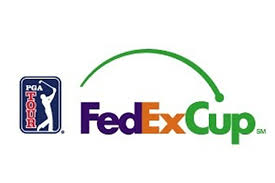 The PGA TOUR is currently amidst its own season-ending Fedex Cup playoffs. During the PGA TOUR season, TOUR members earn points based on their finishes. Once the season concludes, the top-125 players advance to the Playoffs which feature a progressive cut, beginning with The Barclays in New York (125 players), continuing with the Deutsche Bank Championship in Boston (100 players) and the BMW Championship in Denver (70 players). A reset takes place, seeding the top-30 players for the culminating TOUR Championship in Atlanta, where the FedExCup Champion is crowned. At last weekend’s Pan Pacific Swimming Championships in Gold Coast, Australia there were 20 events contested, each of which consisted of eight competitors in the finals. That is 160 athletes in total. But the difference between the Pan Pacs and the Diamond League is that the Pan Pacs stretched their 20 event finals over four sessions while Zurich staged their 14 in one. In a recent article 1996 200 & 400 meter Olympic champion Michael Johnson acknowledged that the largest payday of his career, $500,000, came from his 1997 150-meter duel in Toronto’s SkyDome against 1996 Olympic 100-meter champion Donovan Bailey. While the promotion itself generated interest on par with a major prize fight, the race itself was a bit of a dud as Johnson pulled up lame in the middle of the turn when he realized he wasn’t going to win. In the end Bailey ran a solo 15-flat and earned $1.5 million. Just like the Dan vs. Dave Reebok promotion during the 1992 Barcelona Olympic season that fell apart when decathlon world record holder Dan O’Brien no-heighted in the pole vault during the Olympic Trials and didn’t qualify for the team, the promotion was (and is) still considered one of the greatest in track history. And how many competitors were featured in each of those promotions? Two! They didn’t lard it up with six, or eight or ten extras to fill out the track. They massed their assets, promoted the hell out of the showdown, then focused people’s attention with major dollars on the line. In Zurich today, and Brussels next Friday there will be so many athletes on display in so many events — no different, in fact, than any of the preceding Diamond League meetings — that the cost involved in staging, signing, housing, etc. reduces the amount available to publicly reward excellence to the point where it doesn’t even register in modern professional athletic terms. $50,000 for a season-ending championship? $6000 for a runner-up? From this far vantage point, the only negative space I can perceive in athletics is between the ears of the promoters who continue to stage such over-stuffed unfocused finals where more simply adds up to less. Completely agree. Diamond League has been thoroughly underwhelming this year, well not just this year, but yes. It makes it very hard to draw fans into the sport when it’s not a clearly defined competition. Toni, your brilliance is showing. I hadn’t really considered the ramifications before, but your points make perfect sense.